Water-Cooled TIG Torch: Cool Down and Amp Up! Is your Air-Cooled TIG torch too hot to handle? It may be time to think about upgrading to a water-cooled system. You’ll be able to use water-cooled torches that run much cooler and allow you to access higher amperages. Think of all the welding possibilities! You may think you need to buy a fancy water cooler in order to use a water-cooled TIG torch, but that’s not necessarily true. Of course at Arc-Zone we wouldn’t mind if you purchased a welding water cooler from us–we do carry an extensive line of coolers from manufacturers like Binzel and Dynaflux. We even carry all the replacement parts you’ll need for repairs, including the Procon rotary vane pumps for welding water coolers. Other options for upgrading to a water-cooled TIG torch: build your own water cooler or connect directly to your city-supplied water. 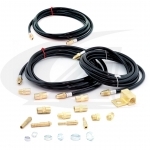 If you just want to connect to your city-supplied water and run water right to your torch, we have a kit that includes all the connectors you’ll need. Keep in mind you’ll need to maintain a water flow of one quart per minute at a maximum of 45 PSI (or risk blowing out the tiny water passages inside your TIG torch). If you want to build your own water cooler, check out this story we wrote for Practical Welding Today, “A Tale of Two Welders.” Read about how George Bright, a welder in New Mexico, built his own water cooler using his wife’s old turkey roasting pan! 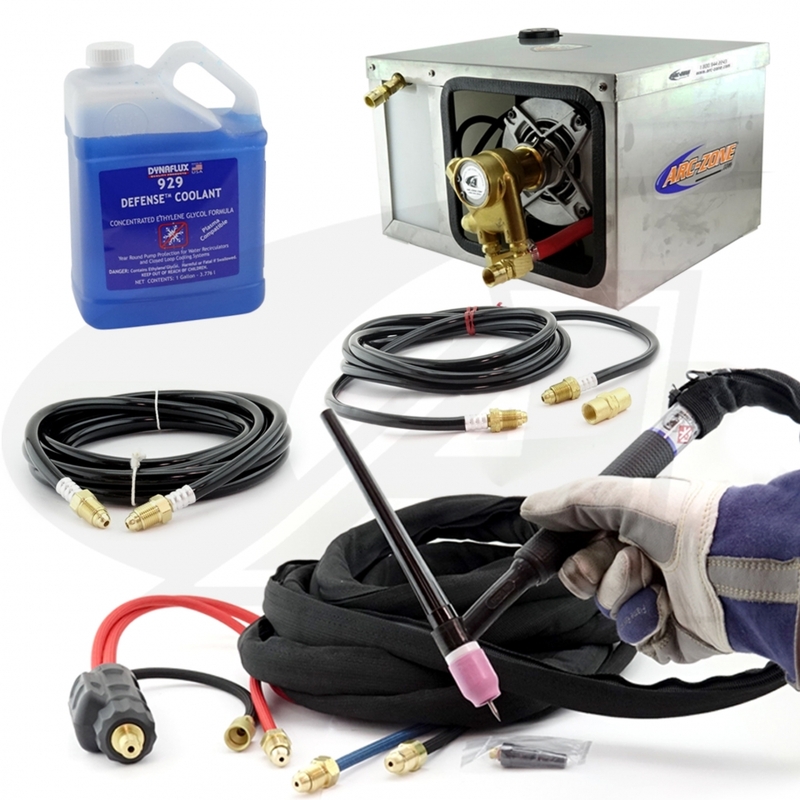 And if you just want to get ‘er done, check out the CoolKit™ for everything thing you need to upgrade to a water-cooled TIG welding system in one cool kit. And don’t forget the TIG Torch! Arc-Zone carries a pretty impressive selection of Water-Cooled (and Air-Cooled) TIG welding torches from the very best manufacturers: CK Worldwide and Miller (Weldcraft). If you need help selecting the right torch for YOUR welding job, drop us an email, a tweet, a Facebook message, or even an old fashioned phone call. Our customer care team is always eager to help. This entry was posted in TIG /GTAW Welding, Welding Tips on July 17, 2016 by Carmen.